I meant what I said in the “About me” page. I almost named this blog Ditch the baby cereal. But I said, why focus on the negative? Why not try to make the blog sound positive instead? That doesn’t mean I will give up on my opinion related to baby cereal. This post contains affiliate links, at no cost to you, meaning I get a small commission if you purchase through my link. 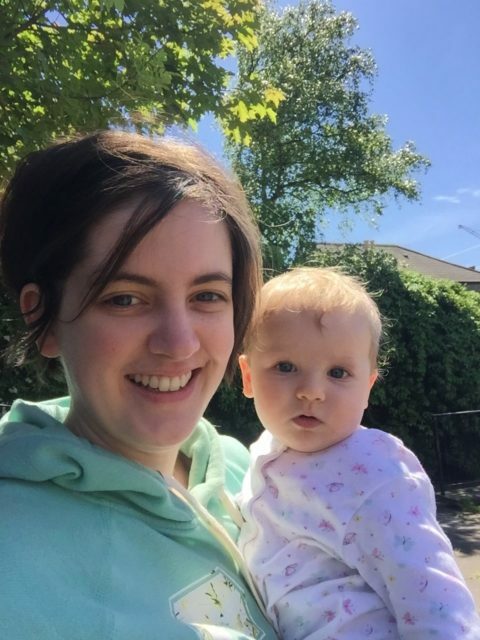 But first, let me explain why I chose not to give baby cereal to my own kid (even though I admit I did, in the beginning, give some, but that’s because I didn’t know any better). This is the first place I look, not only when it comes to cereal, but also when it comes to food we consume ourselves. (skimmed) milk powder – that’s practically dehydrated milk in powder form; imagine instant milk, that’s how it’s best translated; if I chose to give my baby breast milk instead of formula, than why choose something that is also along those lines of instant preparation? Assuming the list of ingredients looks clean enough, there is still some information that doesn’t quite add up. Here I look at carbohydrates of which sugars and salt levels. I couldn’t find a brand that has both in small enough quantities to give to baby and be happy about it. Did you even taste baby cereal? It is so bland, that you don’t even know what to compare it to. So if you wouldn’t eat it, why should you give it to your baby? Besides, even if you don’t want to spend an extra penny on my alternatives below, there is also the option of making them yourself. What I did in the beginning was grind rice in my blender and prepare the resulting flour with milk afterwards. No dehydration, no nothing. Then I read about the amount of arsenic in rice and I stopped preparing that too. If you’re struggling on the weaning journey and with introducing first foods to your little one, then my FREE ebook might be of help. 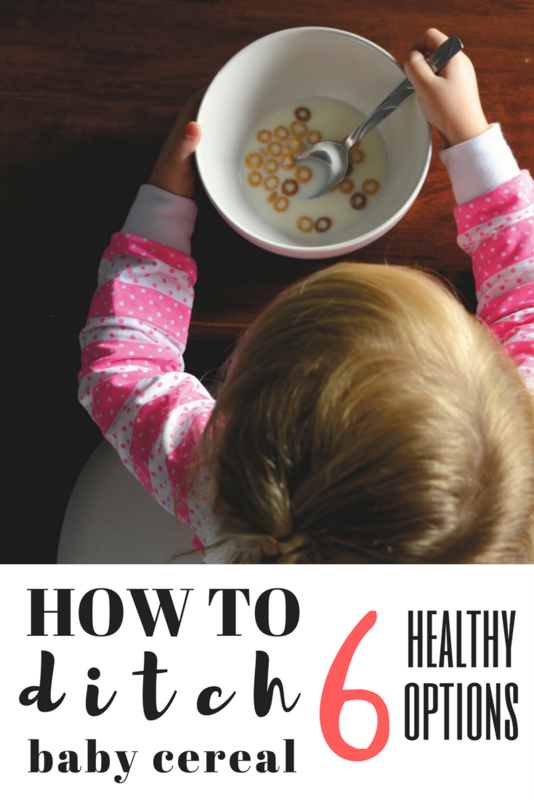 5 top first foods babies can’t say no to and how to vary them quickly and easily. Click the image below to grab yours. The good news in all this… is that there are alternatives. This might seem like a ‘duh!’ option, but I thought I should mention it nevertheless. An obvious take on oats is porridge and I like the way Jamie Oliver prepares it in one of his Youtube videos. It has over 2 million views, so I guess people really like porridge. Other ways to cook it are muffins, pancakes, biscuits or as a cake. One way I don’t agree with is overnight oats (more on that in this post). Millet could well be an alternative to rice for example. It is quite similar in texture once cooked, I find. It is also gluten-free, if you’re worried about gluten or if your baby is allergic to it. Just make sure before you cook it though, it’s best to leave overnight to soak in water and rinse thoroughly the next day. This is to make it more digestible and faster to cook. Millet has per 100 g 16% of the daily requirement of iron (based on an adult’s 2000 calories diet). If you want a basic recipe using millet, you can find my millet pudding here. Buckwheat is another gluten-free seed (despite the wheat in its name), part of the pseudocereal group with quinoa and amaranth. Pseudocereals are seeds that can be consumed as cereal grains, but do not grow on grasses. Buckwheat has per 100 g 12% of the daily requirement of iron (based on an adult’s 2000 calories diet). Again, you can enjoy buckwheat as porridge or as a side dish made with vegetables. It can also be ground to a flour consistency and used to make bread or bread related foods. Amaranth has been cultivated by the Aztecs 8000 years ago and is still a native crop in Peru. It is rich in protein and both its seeds and leaves are edible. This is in fact the most iron-rich alternative to fortified cereal, having per 100 g 42% of the daily requirement of iron (based on an adult’s 2000 calories diet). Cooking amaranth is similar to buckwheat above. Now this is a grain that I love to cook for my little one. It is practically obtained by milling durum wheat – the most sought after type of wheat – to an almost flour like consistency. It is traditionally used to make pasta, pizza or bread. However, what I like to do is to boil it in milk until it turns into a pudding. You can add sugar to make it sweet, or leave it out if giving it to your baby. As a reference, I use for example 500ml of milk to 50 g of semolina. It cooks fast, too. You can have a good breakfast in less than 10 minutes. Bring it on, baby cereal! Semolina has per 100 g only 6% of the daily requirement of iron (based on an adult’s 2000 calories diet). I know it might not be the most efficient way, buying all these grains and seeds and keeping them in your cupboard for long periods of time. Enter the four grain porridge! The four grains are oats, buckwheat, millet and amaranth and no other additional ingredients. The nutritional values show 0,01 g of salt and 1,2 g of sugar per 100 g, which is the lowest I have seen ever! I have been giving Emma this porridge for a while now and she loves it! The prep suggestion on the box is spot on, although I tend to half the amounts to make a smaller portion for her to eat. I really like their range of other cereals and cereal-based products, which are all labelled as organic. The price is justified in this case, I think. You get what you pay for! Another cool thing is that they are gluten free so you don’t need to worry if your little one is allergic. 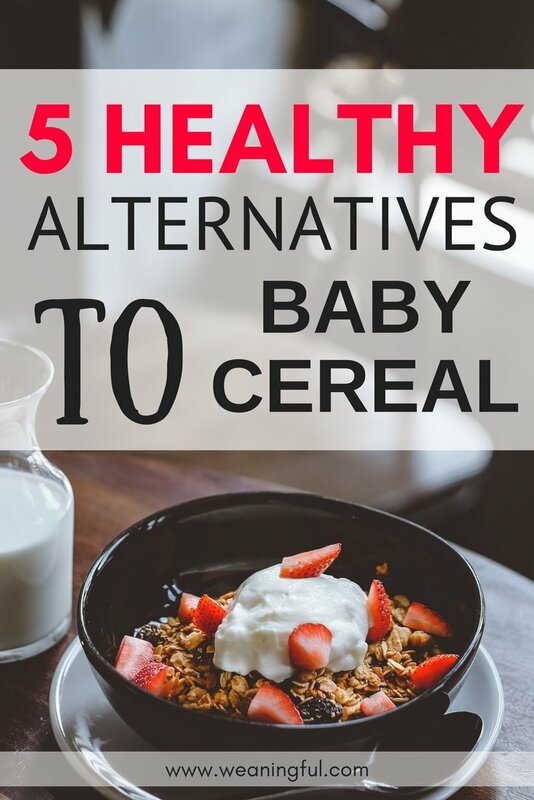 I would love to hear what baby cereal alternatives you are giving your little ones so feel free to leave a comment down below! If you liked this post, make sure to share it on social media and start a #ditchthebabycereal revolution maybe? Either way, sharing is caring and for busy moms even more so! Thank you for stopping by! You wrote the first comment on my blog yupee! Glad to be of help. Really! I also have a millet recipe for you to try if you want. 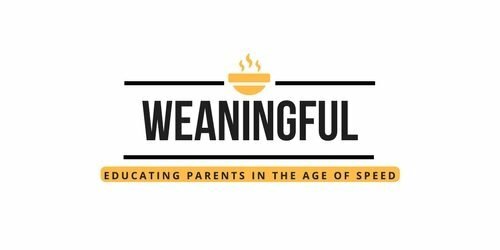 Let me know how weaning goes for you! Thanks Jo! I have another baby on the way so I know I will be needing some new recipes soon! Congrats! Exciting times ahead then! Hi Fisayo! I would suggest having a look at my list of 125 foods that babies can eat without teeth at https://weaningful.com/125-first-foods-for-babies-with-no-teeth/ as a great place to start.